1260 total sq. ft. cabin on the water at Lake Hollybrook. 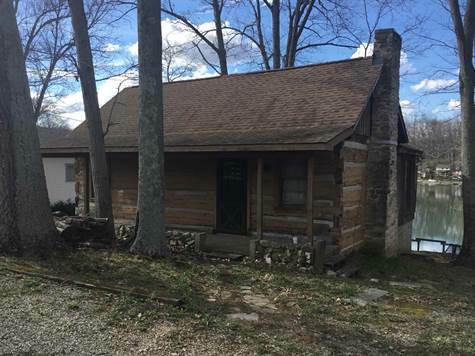 The cabin has one large front room with a wood burning fireplace, a kitchen/dining area, bathroom and partial walk out basement. It has a covered front porch all along the front of cabin, a nice balcony off the second story dining area as well as stairs down to the 2 level dock and covered boat parking on the water. This property has been a getaway for some wonderful folks for many years and in hopes it will do the same for the next owner.